This is another product that I bought when I placed my huge makeup haul the other month. I knew that I wanted a bronzer brush and I decided to go for this Morphe M527 brush. I have been wanting to try more Morphe Brushes for a while now, especially after using the Morphe M439 brush for so long and been absolutely in love with it. I just think that the quality was absolutely faultless on the M439 and I want to test out some others to see if they live up to my very high expectations that I have for this brand as a whole now and I feel like the M527 brush is a good place to start. I have a long list of brushes that I want to get but it is hard to do when living in the UK. Even though Morphe do ship directly to the UK they don’t calculate the import and VAT on their website. So normally when the carrier delivers to your door they demand some money for the VAT and handling fees, which absolutely infuriates me every single time. That is the same with people like Loving Tan and Tarte. If a company ships to the UK from outside of the EU and it doesn’t calculate VAT into the price you pay, you will have to pay when it is delivered, and nothing infuriates me more than having to pay duties to UPS as they deliver my goods. So, to make sure that I don’t get hit with any nasty import charges, I am trying to get the brushes I want through Beauty Bay and Cult Beauty but they don’t seem to have the new Elite Collection and when I emailed their customer service departments they said that they weren’t going to get them in, which isn’t great but at least it gives me a chance to try a couple of them out. Anyway, I got this one through Cult Beauty and I absolutely love it. I saw so many different YouTubers show this in their favourites videos, so I really wanted to give it ago. All of them seemed to use it for contouring and bronzer so that is exactly how I used it. I have been pairing this Morphe M527 brush with my Makeup Forever Pro Bronze Fusion, which I am sure we all know is one of my favourite bronzers and I have been absolutely loving it, the pair together are really good and have been making me look really nice and bronzy. This is a really soft brush and great for really buffing the product into the skin and making it look seamless and flawless. I just use this in side to side motions and the brush makes it so straightforward and easy to use with minimal effort required. If I do need to buff a product into the skin and make it a little more seamless I will use circular motions. 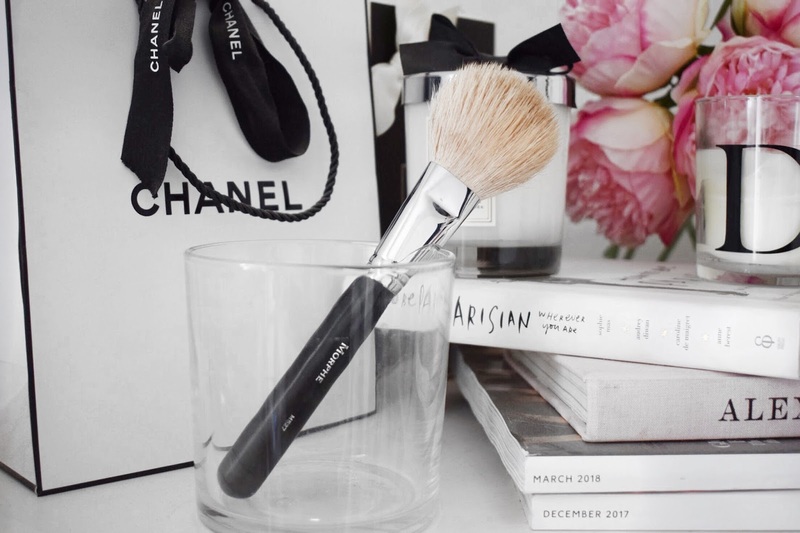 The Morphe M527 has quickly became one of my favourite brushes for bronzing up the face and it is right up there with my Tom Ford Bronzer Brush. This brush just seems to be a scaled down version of the Tom Ford brush and not quite as densely packed. This just seems to lay down the product so beautifully and it picks up just the right amount of product. For the money, I really do not think that you can go wrong with this Morphe M527 and that is why I am loving it. Not to mention that it washes really well and looks just as good as new after each clean. I am looking forward to trying out more Morphe Brushes over the next few months. I think in the end I will just bite the bullet and buy them through their site to get the new Elite range, but it will just really irritate me having to fork out more money when the carrier comes to deliver them. Please feel free to leave me any comments or questions below or you can drop me an email and I will get straight back to you. Also, if you have bought any of the Morphe brushes here in the UK, where did you buy them from, and if you bought from Morphe direct did you have to pay any silly charges on delivery?